Edgar Award-shortlisted author Ashley Weaver returns with the fifth installment in the Amory Ames mystery series. 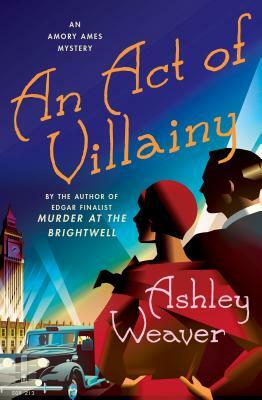 Also out now in the Amory Ames mysteries: Murder at the Brightwell, Death Wears a Mask, A Most Novel Revenge, and The Essence of Malice. ASHLEY WEAVER is the Technical Services Coordinator at the Allen Parish Libraries in Oberlin, Louisiana. Weaver has worked in libraries since she was 14; she was a page and then a clerk before obtaining her MLIS from Louisiana State University. She is the author of Murder at the Brightwell, Death Wears a Mask, and A Most Novel Revenge. Weaver lives in Oakdale, Louisiana.